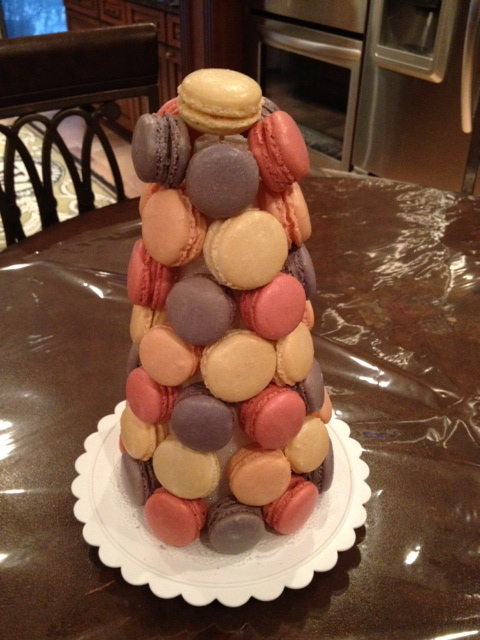 Do you have a special birthday coming up or an anniversary, a shower and you want a beautiful dessert display but are tired of cupcakes or petits fours, why don’t you order a macarons tree? They are so pretty! You can choose the flavor to match your taste and ask for colors that will compliment your event. Call me for details and price at 864-494-4494. 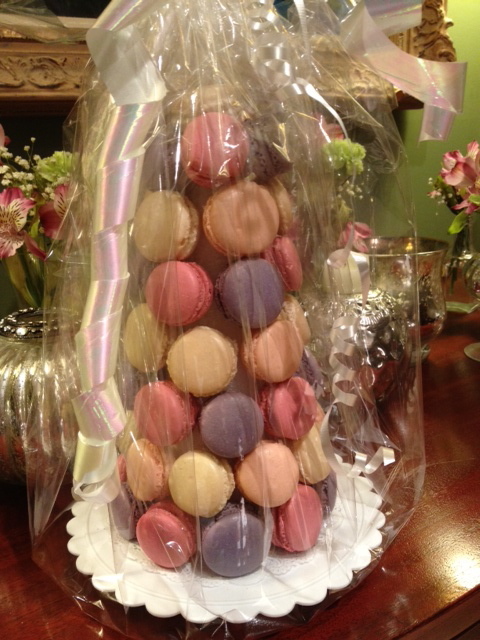 This tree shown is 6 inches tall and holds about 50 macarons. The flavors here are Lavender (lilac), Raspberry ( dark pink), Rose ( light pink), Vanilla ( cream). 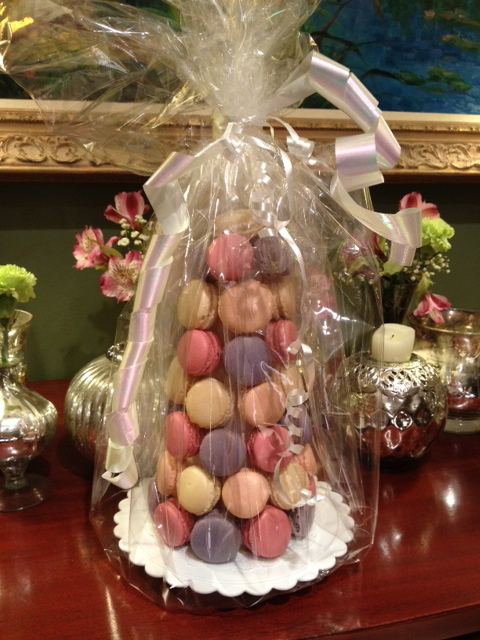 What would you like on Macaron Tree?